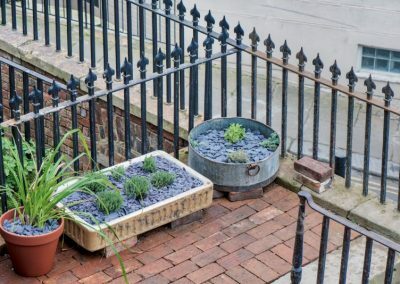 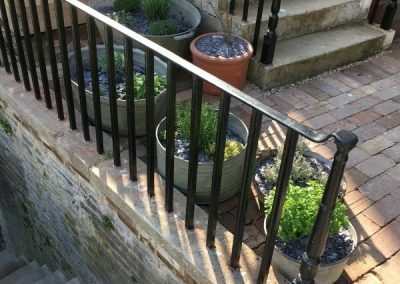 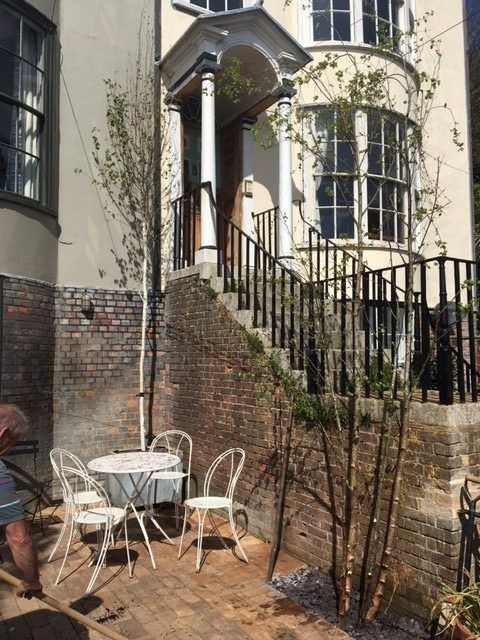 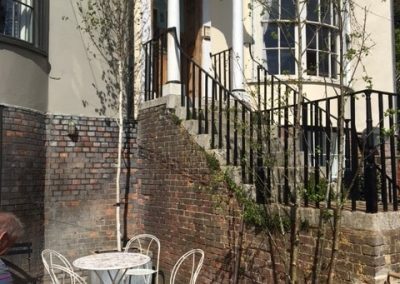 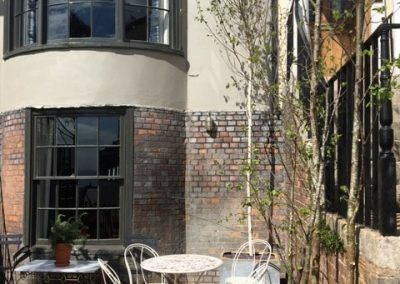 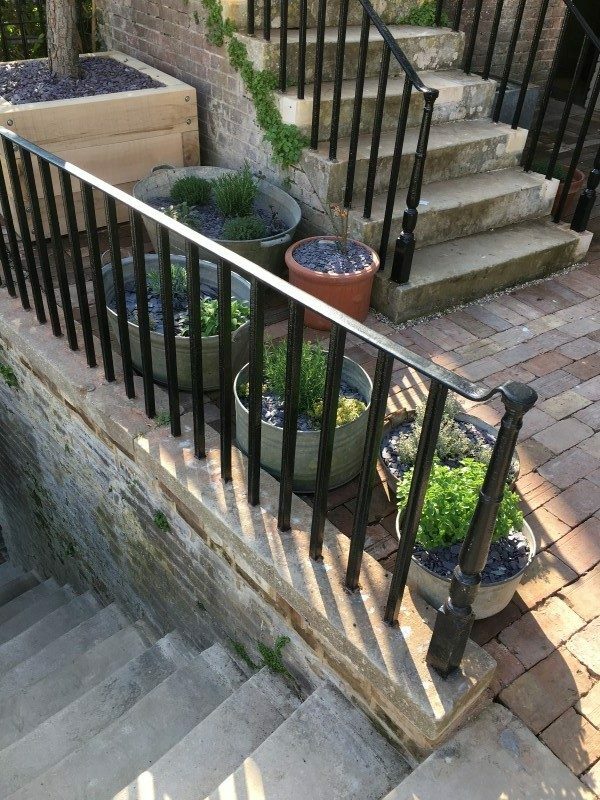 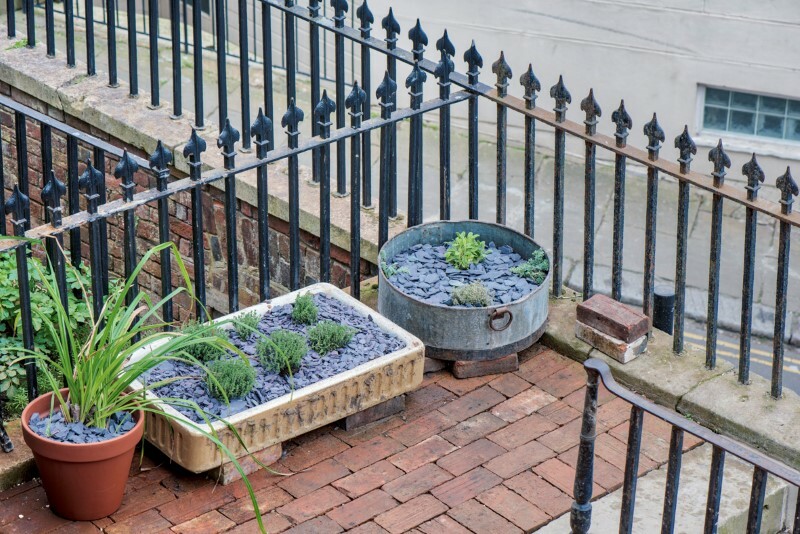 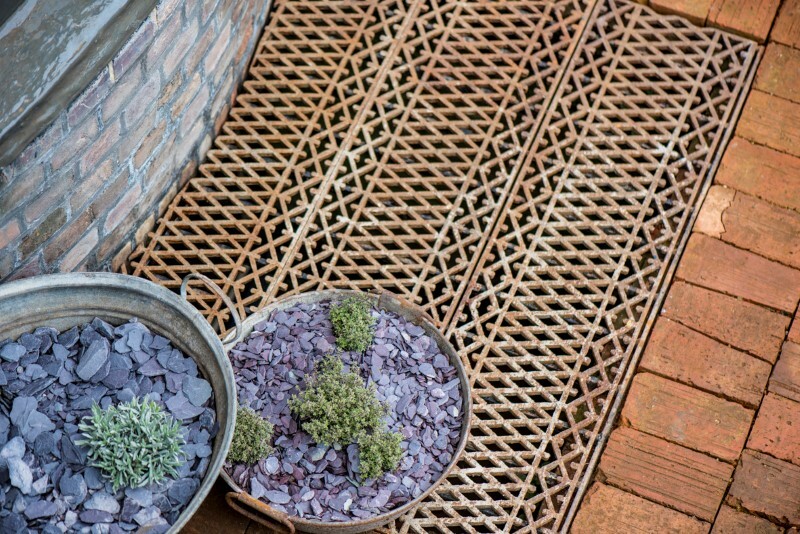 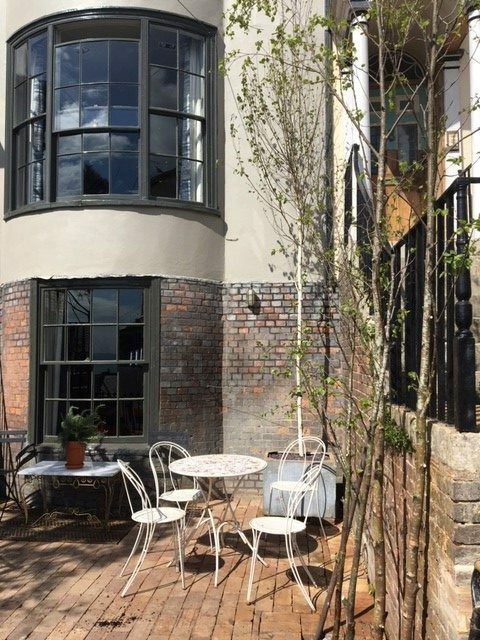 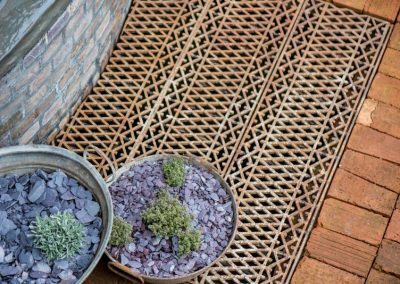 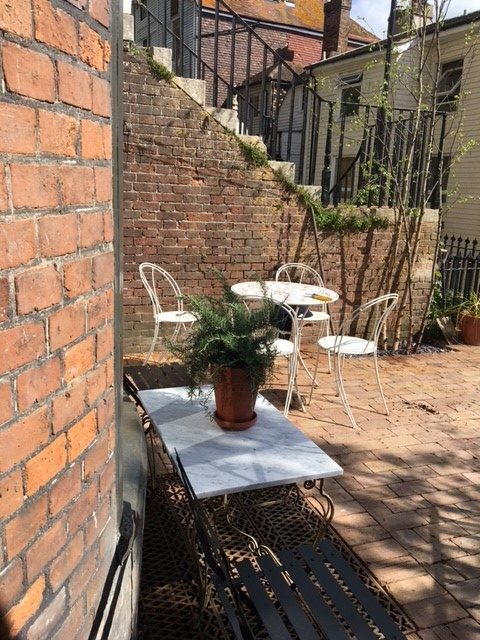 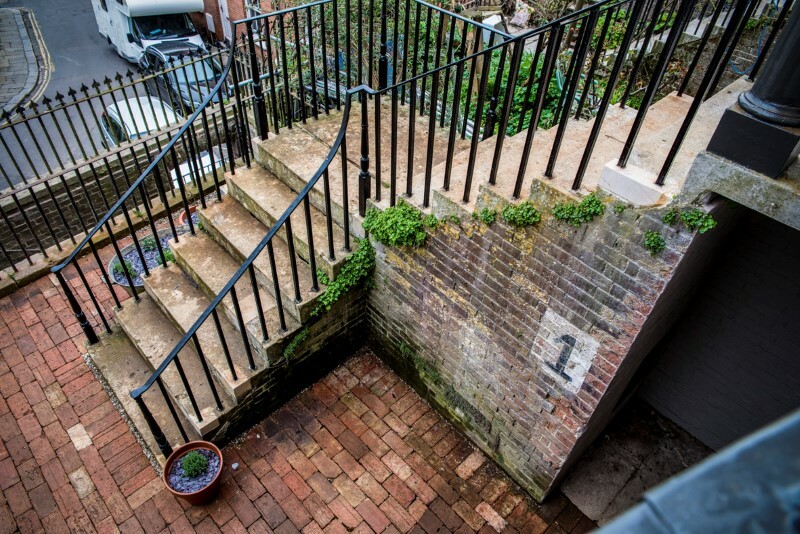 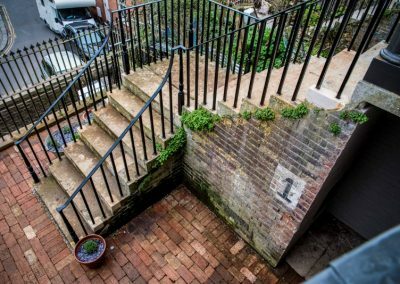 The terrace, laid with vintage engineering bricks, faces west and is bathed in natural sunlight for most of the day; it’s the perfect spot for a morning coffee! 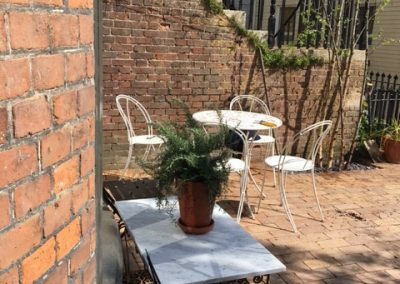 Later in the day, why not bring your holiday read outside while losing yourself in fiction? 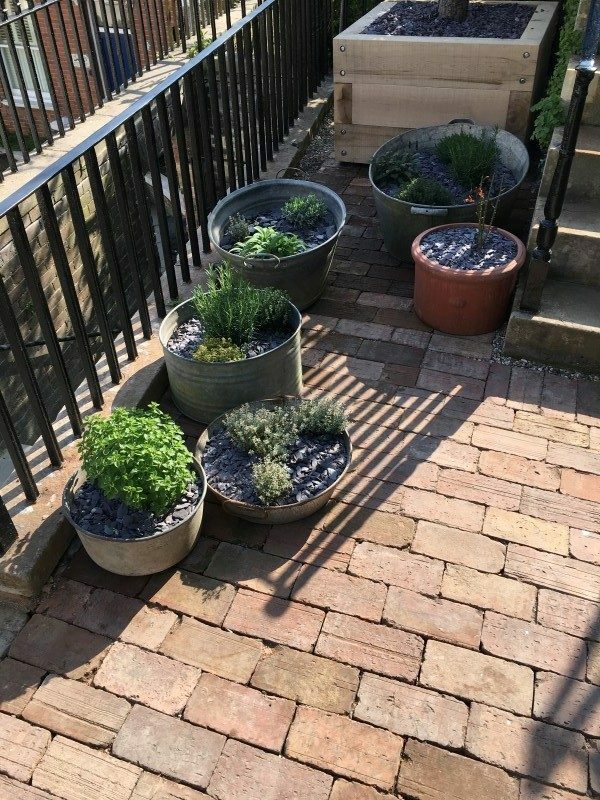 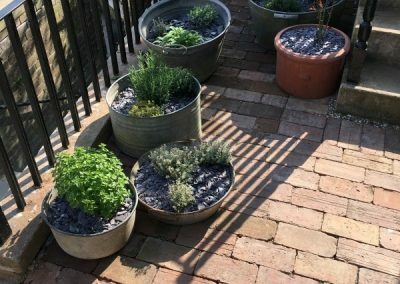 Cooks can pluck herbs from the mixed kitchen planter. 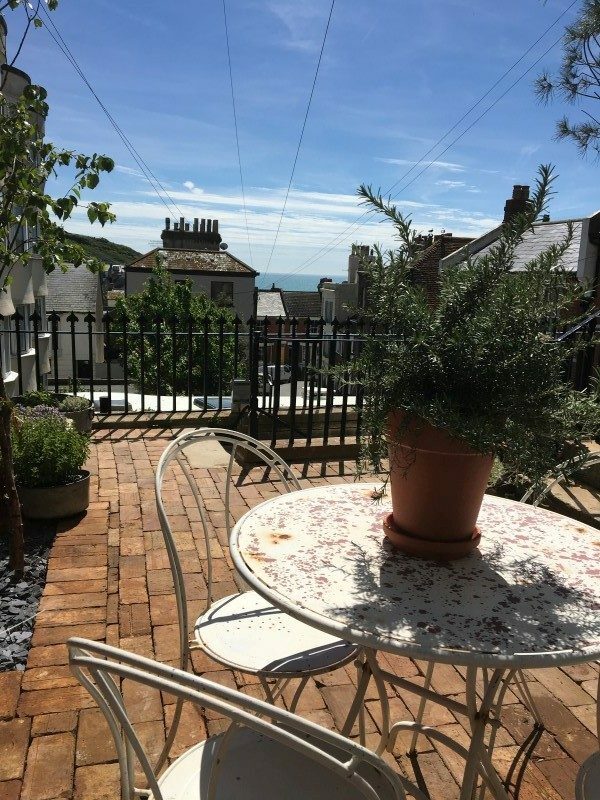 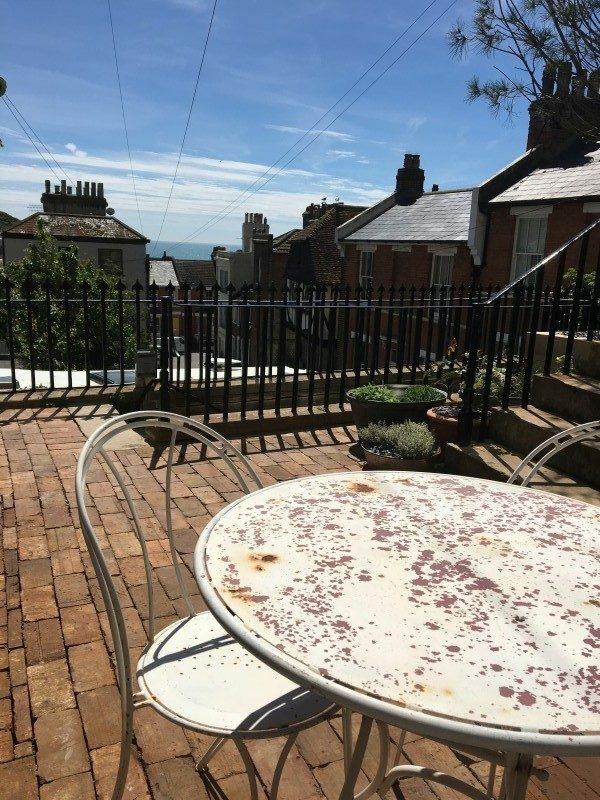 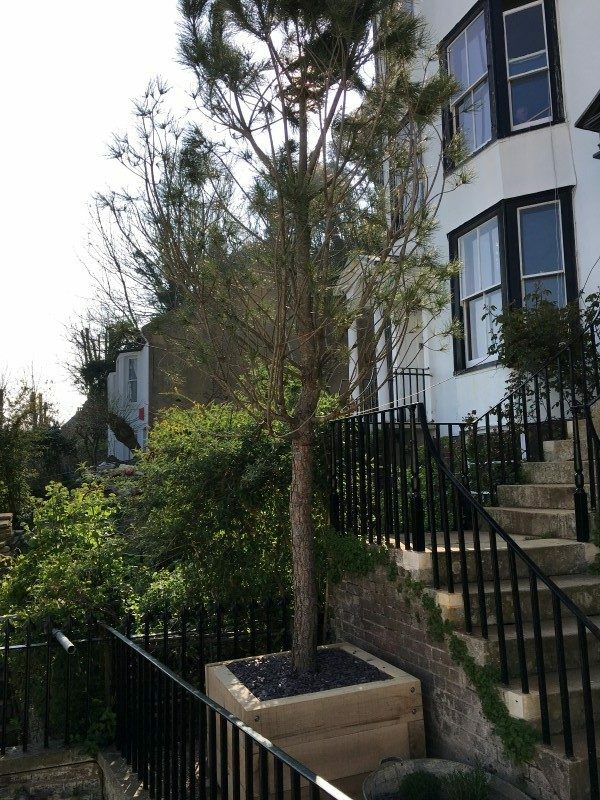 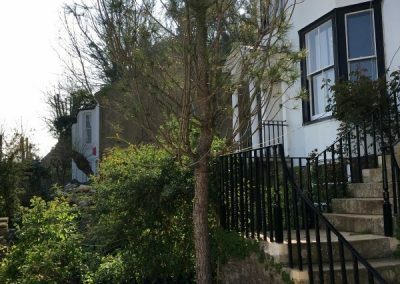 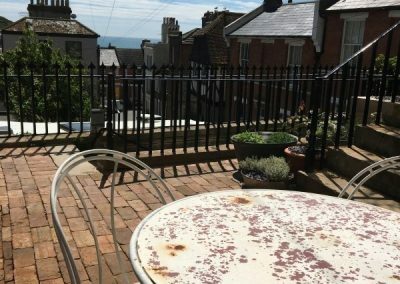 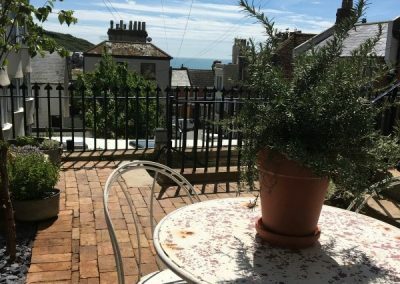 House in Hastings is bookable for a weekend Friday to Monday or single nights midweek Monday to Thursday or periods of weeks or longer.